On Friday July 19th, Speculating Canada will be interviewing James Marshall. James Marshall is the author of Ninja Versus Pirate Featuring Zombies and Zombie Versus Fairy Featuring Albinos (both available from ChiZine publications), as well as a guitar player. He has a very different take on the figure of the zombie, and I was curious to find out what inspired his vision of the zombie. In our upcoming interview, we discuss sympathy for the zombie, how the zombie mirrors and distorts our society, the power of humour and satire, and questions of religion. To find out more about Mr. Marshall, you can visit his website at http://www.howtoendhumansuffering.com/ . You can explore my review of Zombie Versus Fairy Featuring Albinos at https://speculatingcanada.wordpress.com/2013/07/10/dead-depressed/ . Why Do Schools Keep Making Zombies Out of People? In his Ninja Versus Pirate Featuring Zombies, James Marshall tells us something that every one of us who attended public school and high school already know – schools are Hell trying to make zombies of us all! Unfortunately, the only one who sees this is Guy Boy Man, a young adult who killed his parents after he discovered that they were zombies and were planning on eating him once he failed the ZAT (the Zombie Acceptance Test). They were certain he wouldn’t pass the ZAT – he was too much of an outsider, a rebel, someone who just didn’t fit in and abide by the “normal” rules of zombie society. Zombies are close-minded, worried about how things “seem” to others, and strongly interested in maintaining the status quo of ‘normalcy’. The zombie teachers are literally muzzled (to keep them from snacking on students before they write the ZAT) and chained to their classrooms with chains. After all, schools hunger for brains. Guy Boy Man is able to see things that others aren’t. He can see that the world is populated by the supernatural, that the world is well into the zombie apocalypse and most people are zombies… and if they aren’t, they are food. He sees more than everyone else, but he is an unforgiveable jerk – treating women as disposable, engaging in homophobic, ableist, and racist comments, comfortable destroying art… but, the reader can take incredible pleasure in Guy Boy Man’s offensiveness because he is consistently blunt about the underlying offensiveness of our culture and of schools in particular. Rather than covering up the way that disabled bodies are treated as disposable, he brings attention to it. Rather than trying to politely ignore the racism and homophobia in schools, he make it blatant, often in his attempts to NOT be homophobic and racist. He treats women as objects because women are consistently objectified by our school. He is offensive because he is part of an offensive world and his casual destruction embodies the hopeless nihilism of a world that believes it can’t change anything – a zombie world that believes that nothing will really change and will continue in undead monotony. Guy Boy Man is the openly offensive jerk that our society tries to mask itself from being through polite avoidance of the issues of society. Marshall uses Guy Boy Man to take the “subtle” fatphobia, ableism, sexism, racism, and homophobia of our school system and over-perform it, taking it into a place of self-mocking auto-parody. Marshall’s zombies are stiff because their lives are rigid. Zombies have absolute control over our society and in order to maintain their control, they eat anyone who is rebellious. Marshall uses the figure of the zombie to bring critical attention to the way that our society maintains the status quo, unquestioningly repeating the same patterns of the past. He reminds us that much of our education system is focused on the memorization and regurgitation of information rather than on asking critical changes and thinking outside the box. 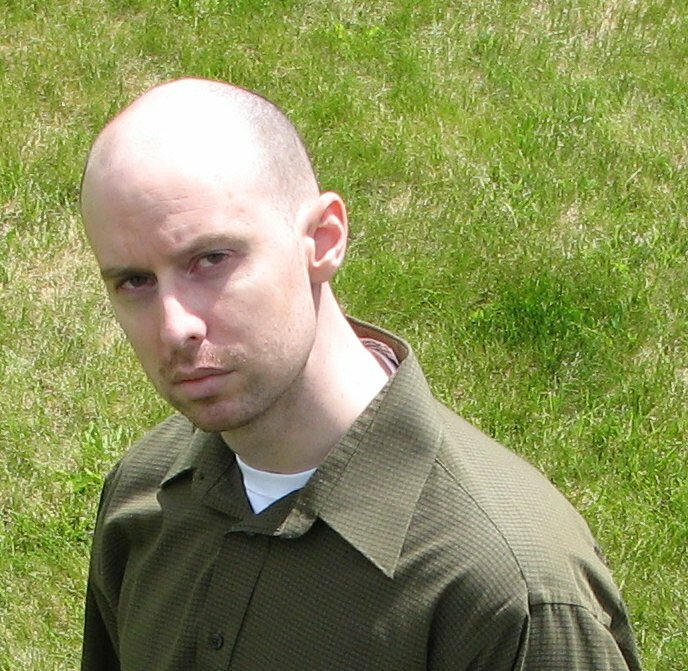 You can find out more about James Marshall’s work at http://www.howtoendhumansuffering.com/ . To explore this and other ChiZine Publications books, visit their website at http://chizinepub.com/ . In many American zombie narratives, people escape the zombie apocalypse by crossing the border into Canada. Is it our health care? Is it the cold? Is it the maple syrup? Whatever it is, American zombies don’t seem to like us very well… so, Canadians have created our own zombie fiction and we do something a little bit different with our zombies. This first radio show of the season explores the history of the zombie narrative then delves into some examples of Canadian zombie narratives and explores the potential for the zombie to ask social questions of us as readers. Silvia Moreno-Garcia’s collection Dead North: Canadian Zombie Fiction, and particularly the stories “And All The Fathomless Crowds” by Ada Hoffmann and “The Herd” by Tyler Keevil. 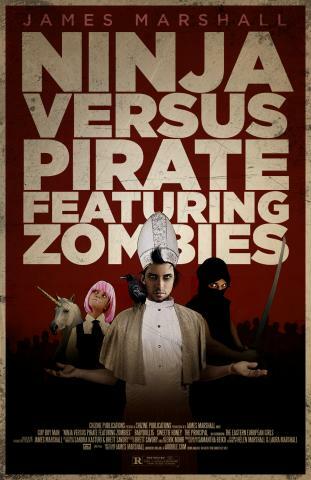 James Marshall’s novels Ninja Versus Pirate Featuring Zombies and Zombie Versus Fairy Featuring Albinos. Click on the link to hear about how Canadian zombie fiction can comment on everything from the media, violence, the human as monster, social performances, the education system, depression, war, and animal rights. Play is an important way to help students (of any age) learn. When you evoke student emotions, they remember things more effectively since memory acquisition is linked to emotional responses. By using an element of play in your teaching, your students are also more willing to take bigger risks, and do things that seem too stressful in a classroom that takes itself too seriously. When playing, students become more active learners. They know that the rules are somewhat suspended, so they are willing to take greater risks, think further outside the box. Once you are able to get students to think outside the box, they are able to think more critically about what they are doing. Not only will they remember the ideas you are covering, but they will also be more willing to question things, engage deeper with ideas, and be more inspired. A lot of instructors use questions about the text (memory exercises) as a way to help students learn. They will create activities geared at helping students remember facts, but students remember facts best through using them, and being emotionally attached to them. The most important thing to do is to let the texts themselves lend different ideas for inspiring students. Applying ideas from outside to various texts ends up feeling unnatural to the students. Look for entertaining ideas that stem from the text itself. For example, when I was teaching Stephen King’s Misery to my students, character Paul Sheldon discusses a game that he used to play with his friends where they would tell a story and then vote about whether it was believable or not. I adapted this for an activity for the classroom, having the students share in telling the story of Annie Wilkes (the villain of the story) in pieces and then vote after each segment whether the tale was believable for the Annie Wilkes that King created. By playing at giving Annie a background, students were able to explore narrative potentials and they were able to look deeper and more critically at the character King had created. Have students search for those narrative gaps in the text, those areas that the author didn’t explore and are rich for exploration. Fan fiction allows students to get deeper into the narrative and do an analysis beyond the surface reading. When students write fan fiction, they need to understand the text deeply in order to write a story that feels authentic to them. They tend to mine the text for incredible amounts of detail to support their ideas… which is great preparation for later essays and examinations. When students write fan fiction, they look for narrative gaps, which means they look at the text critically, searching for what is missing, for problems in the text. Have students chose the titles of two different books from the course and then mash their titles together. Provide them with a few examples (of titles outside of the course). Then ask students to do an “elevator pitch” about what that novel will look like. Let them know that an elevator pitch is the pitch for a new novel that you would give in the few minutes that you have between floors when you are in an elevator with a publisher – make sure that they limit it to about 5 minutes. This activity will help students to start making connections between the texts and thinking about them comparatively. This allows them to work out some ideas about the conversations between the texts and the overall themes of the course. Once they begin looking at things through a comparative lens, it makes it easier for them to do comparisons between texts later in essays and exams. Vampires from each of the districts of Panem have to enter into an (eternal) life or death match with other vampires. Each of them has to protect a human companion from vampiric attack by their other opponents and battle their own hunger for human blood in order to keep their human alive in a world where everyone else and even the land itself is out to get them. After developing Retinitis Pigmentosa, Vicki Nelson, detective for the Technocracy loses her position and is made a member of the Explorer Corps, or, as they call themselves, Expendable Crew Members and sent on all of the dangerous missions that other, able-bodied crew members aren’t sent on because the Admiralty knows that people with disabilities aren’t mourned as much as able-bodied crew members. When the Admiralty sends her on a mission to a planet that is known to be a place of certain death, a planet where it is rumored that people frequently die of blood loss, she finds out that her only ally on this planet is a vampire. She learns that she can heal her body if she choses to become a vampire, or she can embrace her Retinitis Pigmentosa and try to change a society that rejects its disabled members and views them as expendable. The small valley of Don is an odd pioneer settlement on the outskirts of Toronto where there are elements of magic like house toads, wells that fill up with sweet-tasting water whenever it is desired, fields that suddenly lay down during harvest, and where the woods are populated with strange beings. After being bitten by her friend, a mysterious, invisible entity named Wisp, Elena Nalynn discovers that something has changed in her body. She discovers that she is cursed, stuck between the human world, and the world of her friend. While trying to control her new hungers, her ability to turn invisible, and the impulse to fly, she has to confront whether she wants to try to make a normal, human life for herself in Toronto or venture into the Verge to join Wisp and live with the dragon pack. In the wake of Mash-Ups like Pride and Prejudice and Zombies, Sense and Sensibility and Sea Monsters, Mash-Ups have become really popular with readers. 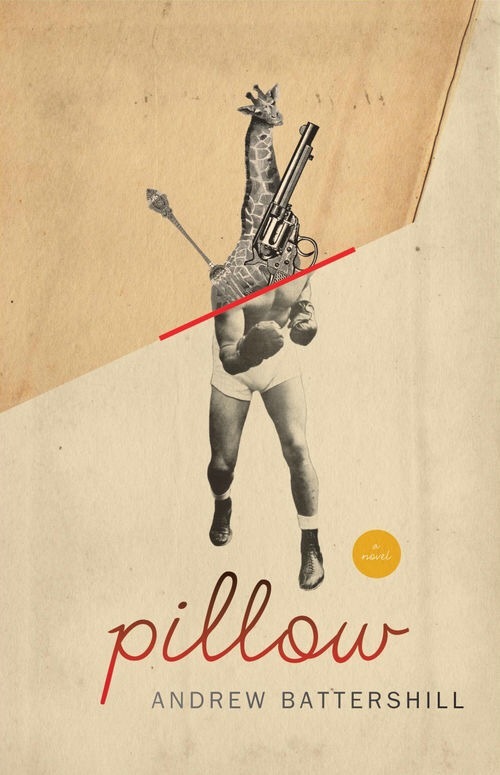 A mash-up is a work of fiction that combines a pre-existing literary work with another genre – essentially an injection of a monstrous bite into an existing literary work. In a work like this, students are encouraged to use somewhere between 60-85% of the original text and adapt other parts of it to suggest monstrous figures like zombies, vampires, or werewolves. This can be a great activity for teaching a course that combines traditional Can Lit with Canadian genre fiction, for example, inviting students to mash up Anne of Green Gables with the monstrous. But, it can also be used to mash up other works of genre fiction, combining aspects of the monstrous with other narratives – for example, taking Canadian SF stories and injecting in a bit of monstrous characteristics. You can ask students to do a full novel Mash Up, a single chapter, or even just do an elevator pitch about what the Mash Up would look like. If you decide to do an elevator pitch, ask student to think about how monsters would be integrated into the novel’s world, what challenges the narrative would face, which characters would be (or become) monstrous, and what elements of the story would shift with the monstrous introduction. To begin, introduce students to a wide variety of Canadian monster short stories and/or novels. “Cemetery Man” (in This Strange Way of Dying) by Silvia Moreno-Garcia. Think about how much fun your students could have writing Anne of Green Pustules! Introduce students to a review website so that they can get a sense of what book reviews look like. Then, ask them to write their own review of one of the books on the course or one of their own books for a later essay. By asking students to check out GoodReads or other review sites, it introduces them to the notion of literary media sites and allows them to begin participating in literature communities. This will allow them to engage with a wider community of literature fans and prepare them for writing their own critiques of the books they are reading. By having them post their reviews on GoodReads or a similar site, students will feel engaged and will also feel the social pressure to write good reviews for others who might be interested in the book. It also allows them to feel more responsible for writing a good review since they will be responsible to a whole group of other readers. I like to introduce GoodReads to students as “It’s like Facebook for people who love books”. 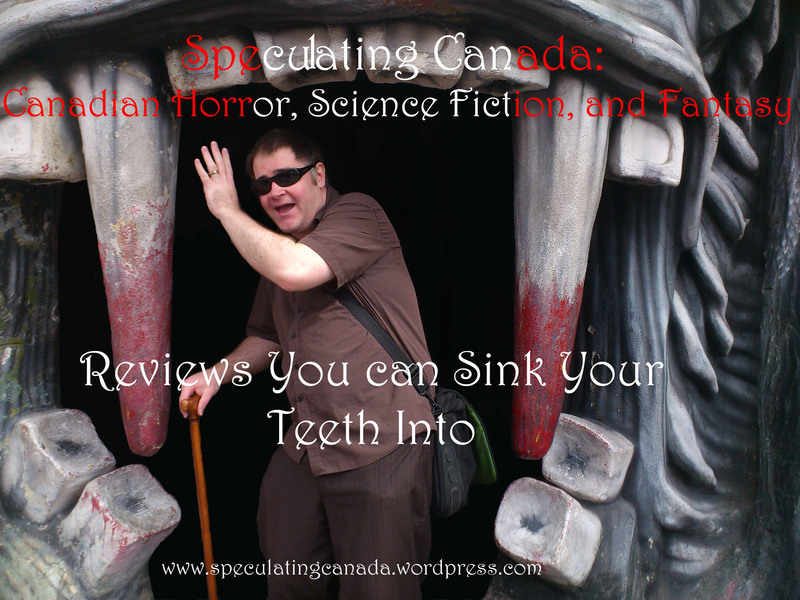 By having students review Canadian SF material, you are also contributing to Canadian authors by making sure that there are more reviews available for a genre that is traditionally under-reviewed. Have students think about what it would be like to suddenly be in the world of the novel they are reading. What would their experience be? How would they survive in this world? What challenges would they face? This activity will help students to deeply explore the role of setting in the novel – the social, political, and environmental context of the novel. This is especially effective for fantasy, science fiction, and some types of horror since students will have to examine the world-building of the author and try to fit themselves into that world. By asking the student to enter metaphorically into a new world, you are helping them to become (quite literally) personally involved and students often remember things better when they somehow relate back to themselves. Have your students write a series of emails or letters between various characters at various key points in the narrative. This will help the students to explore character psychology and interaction. They can interrogate the intentions of the characters as well as the way they want to represent themselves to other characters, and how they manage their identity portrayal. Have your students think about how they would adapt the novel they are reading into a comic book. I would suggest limiting their comic books to a 5 comic book run to cover the material from the original novel. Have them think about what they would need to include, what they would have to remove (while still making certain that they text conveys all of the relevant parts of the novel), ask them to think about their audience and in which ways they may have a different audience. Ask students to do character layouts for each of the characters, considering the personalities, motivations, desires, flaws, strengths, and quirks of each of the characters. Following this, ask them to write out titles for each of the 5 comics and write a short description of each comic, considering the action of the scene, what to highlight, the fundamentals of the dialogue, and which parts of the novel they will cover. Then, ask them to think about the essential dialogue of the text and choose some key quotes that would appear in word bubbles to capture the action of the scenes. You can introduce students to an adaptation of a Canadian novel into a comic by having them first read Kelley Armstrong’s Bitten and then have them explore the comic book adaptation of the novel by Angilram at http://angilram.deviantart.com/gallery/6373443 . This works particularly well for novels that have a romantic component. Ask students to choose three characters from the novel and write a dating profile for each of them. Have them consider the personalities of the characters as they are laid out in the novel and think about what they would write in a dating profile. -What is your greatest achievement? -What is your greatest disappointment? -What is your best attribute? -What is your worst attribute? -If you could change one thing about yourself, what would it be? -What is your greatest passion? As a really fun way to finish this activity, you can ask students to engage in a speed dating activity, having them play the part of the character trying to date one of the others. I find it really entertaining to have them speed date random other characters from the novel (other than the one the author intended to be their ideal partner). You can, of course, use these activities for any literature course (not just for Canadian Speculative Fiction), but I hope they will inspire you to consider proposing a Canadian genre fiction course at your university or high school, or at least to include a few Canadian genre fiction texts on your syllabus. These activities lend themselves particularly to literature courses, and the activities in the course assist students to develop confidence in creative writing, so can be quite effective for a creative writing course. Remember, the more skills your students develop, the better your marking experience will be!! Well-written, interesting papers are much MUCH easier to mark. So, when you inspire your students to develop their skills, you also save yourself time, energy, and headaches. Plus, playing when you teach also means that you will look forward to your own classes instead of dreading the boredom that comes from repetitive, replicative teaching. Several people have suggested a brilliant new idea for Halloween: Give a scary book this Halloween. You don’t have to give a book to every trick-or-treater, but maybe get a few books for the special people in your life… or maybe those who just need a good venture into the dark. Don’t forget about used book stores as a potential place to get some books that are less expensive. AND don’t forget that you can give someone the gift of appreciating some Canadian horror and remind them that we can write some really great spooky stories and terrifying tales. These are just a few of the incredible Canadian tales of darkness (and I know I am forgetting a lot of them with this list). What’s your flavour of monster, your favourite taste of darkness? Take a long sip before the horrors of winter. How did James Marhsall’s zombies differ from other zombies that you have read about or seen in movies? What did the idea of a depressed zombie add to the plot of this novel? How did Buck’s depression allow him to challenge the world around him? Why did depression make him interested in challenging the status quo? What interested you about the contrast between the zombies and the fairies? Why do you think Marshall put the two of them in the same novel? How are Marshall’s zombies similar to the world that we live in? What do you think Marshall might be saying by making his zombies corporate figures? What does Zombies Versus Fairy Featuring Albinos have to say about the education system? In what ways is that similar to the education system in our world and in what ways does it differ? What interested you about the religion “Awesomism”, and how does it differ from other world religions? How is it similar to other world religions? In what ways does Zombies Versus Fairy Featuring Albinos encourage readers to challenge different social ideas and traditions? What are the benefits of these challenges and social questions? 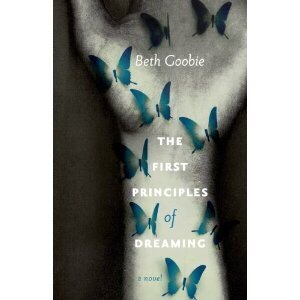 What character did you most identify with in this novel? What fascinated you about him/her? Zombies are normally pretty content – they groan, they chase, they eat, they shuffle… but what happens when a zombie becomes depressed? 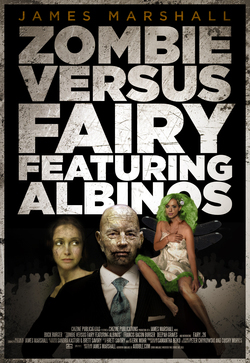 In James Marshall’s Zombie Versus Fairy Featuring Albinos, depressed zombies get promoted. No matter how much they tell their bosses they hate their jobs, plan to demotivate workers, and decrease productivity, a diagnosis of depression is a one way ticket to the top… in fact, Buck Burger’s description of how he plans to destroy the company is exactly the skill-set and thought pattern that zombie corporate life thrives on. After all, when you are a people that are totally steeped in decay and the destructive lifestyle, what is more appealing than destruction. But, Buck starts to feel stuck, realises the monotony of his existence… and unlike most zombies, he dislikes this monotony… he wants to do forbidden, stigmatised things like change. When Buck meets Fairy_26, a green-haired beauty infused with life, he sees in her everything that is lacking in his own unlife. The fairy, and the supernatural races have something that he has been desiring, something that challenges the monotony of existence and promotes growth. She is the opposite of everything every zombie wants (which is probably why the zombies and the supernatural races have been at war for so long), but because she is so different and because he hates his unlife due to his depression, she represents an opportunity for change, a challenge to the status quo of boring zombie existence. Instead of mindless destruction, she is steeped in mindful life. Buck wishes he could become what he eats… a living human being. He pines for his lost life and envies the living. Fortunately, as depression often does, his depressed state serves as a hunger suppressant, which is ideal for someone who wants to give up gnawing upon people. Buck has to question commitments, obligations, social restraints upon him that hold him in his current unlifestyle in order to make a new unlife for himself. He has to challenge his marriage obligations to his wife, his job requirements, and commit social faux pas that would horrify any moral zombie in order to free himself from the chains of dull, colourless zombie existence and open himself to the vibrancy of fairyland and fairy life. Marshall reveals a social critique of the monotony of human existence through the figure of the zombie. In our corporate greed and unquestioning repetition of outmoded patterns, we become like zombies – unwilling to change things, unwilling to question, unwilling to extend our creative impulses. His zombie society represents a flesh and blood covered mirror of corporate life and the eerie creep of suburban society. Zombies in his world impose their values on the young through an unquestioning education system designed to make them into automatons and prepare them for transition into zombie society or the zombie digestive system. Marshall notes the allure of the zombie lifestyle and why it is so desirable for so many people “I know how they feel. Angry. Mindless. They’re doing things because they’re supposed to do things. They don’t want to. They don’t know what they want. They don’t know anything. For a while, they tried to learn but they didn’t so they stopped. They became zombies. It’s easier than trying to stay human when everyone else isn’t” (195). Like zombies, we get trapped into simple desires in an attempt to fill a void in our life of what we really want with meaningless trinkets that the marketing world tells us will fill that void. We mindlessly replicate things, follow the status quo, don’t seek to learn the meaning behind things. This is pretty alluring. It seems, on the surface, to be an easy lifestyle… but our society have become like zombies, not questioning, not changing, following outdated patterns, and mindlessly destroying – after all, look what we are doing to our environment. After reading this, any trip to the mall or witnessing of road rage lets the reader see the zombie apocalypse already in full swing. To read more about what James Marshall is up to, visit his website at http://www.howtoendhumansuffering.com/ . Newman-Stille, D. (Forthcoming) “Our Bodily Diverse Children Are Our Future: Disability, Apocalypse, and Camille Alexa’s All Them Pretty Babies”. In Misfits: Children With A Twist. Lanham, MD: Lexington Books. Newman-Stille, D. (2015) “Navigating the Darkness: Blindness and Vampirism in Tanya Huff’s Blood Books”. In Recent Perspectives on the Canadian Fantastic: Proceedings of the Academic Conference on Canadian Science Fiction and Fantasy. Jefferson, NC: McFarland. Newman-Stille, D. (2015) “Speculating Diversity: Nalo Hopkinson’s Brown Girl In The Ring and the Use of Speculative Fiction to Disrupt Singular Interpretations of Place”. In Recent Perspectives on the Canadian Fantastic: Proceedings of the Academic Conference on Canadian Science Fiction and Fantasy. Jefferson, NC: McFarland. Newman-Stille, D. (July 2012). “Recensione a Asa Simon Mittman, Peter J. Dendle (editors) The Ashgate Research Companion to Monsters and the Monstrous: Ashgate 2012.” In Lo Sguardo: Rivista di Filosofia. Vol. 9, No. 2. Newman-Stille, D. (2010). “Morality and Monstrous Disability in Topographia Hibernica.” In The Treatment of Disabled Persons in Medieval Europe: Examining Disability in the Historical, Legal, Literary, Medical, and Religious Discourses of the Middle Ages. Eds. Wendy Turner and Tory Vandeventer Pearman. Edwin Mellen Press, New York. Newman-Stille, D. 2015. “Afterward: The Casual Magic of Play” in Playground of Lost Toys. Ed. Colleen Anderson and Ursula Pflug. Exile Editions. Newman-Stille, D. March, 2015. Northern Chills: Conversations on Canadian Horror Literature”. In Quill & Quire Vol 81, No. 2. Newman-Stille, D. And Swenson, H. (April, 2016) “Desiring Animal-Mediated Environments: ‘Fake’ Guide Dogs and the Work of the Pet” Presented at Crip Ecologies: Composing Disability Conference. George Washington University, Washington, DC. Newman-Stille, D. (March, 2016) Cosmic Panic The Continuing Influence of Lovecraft’s Supernatural Horror in Literature (1927) [panelist]. Presented at The International Conference for the Fantastic in the Arts. Orlando, Florida. Newman-Stille, D. (March, 2016) “The Body Estranged: Kate Story’s Blasted and Disability in Newfoundland Fairy Tales” Presented at The International Conference for the Fantastic in the Arts. Orlando, Florida. Newman-Stille, D. (March, 2016). “From Slash Fan Fiction to Crip Fan Fiction: What Role Does Disability Have in Fandom.” Presented at Queer Coll(i/u)sions Peterborough, Ontario. Newman-Stille, D. and Cait P. Jones (March, 2016). Writing Queerly and Queer Writing. Presented at Queer Coll(i/u)sions. Peterborough, Ontario. Newman-Stille, D. (November, 2015) “Elder Jails: Nursing Homes and Zombiism in Matthew Johnson’s The Afflicted.” Presented at The Mid-Atlantic Popular and American Culture Association. Philadelphia, Pennsylvania. Newman-Stille, D. (October, 2015) “Cripping the End: Disability and Apocalyptic Manuscripts” Presented at Babel Working Group Biennial Conference. University of Toronto, Toronto, Ontario. Newman-Stille, D. (June, 2015) “Dissociative (Canadian) Identities and Marvel Comics’ Alpha Flight” Presented at The Canadian Disability Studies Association. Congress of the Humanities and Social Sciences, University of Ottawa, Ottawa, Ontario. Newman-Stille, D. (June, 2015) “Myths of Belonging: Hiromi Goto’s The Kappa Child and the Queering and Birthing of Home in Diaspora.” Presented at The Academic Conference on Canadian Science Fiction and Fantasy. Toronto, Ontario. Newman-Stille, D. (March, 2015) “Risky Bodies: The Partially Cured Body in Jenny Romanchuk’s “The Zombie Hunters”.” Presented at The International Conference for the Fantastic in the Arts. Orlando, Florida. Newman-Stille, D. (March, 2015) Roundtable on Teaching Horror at The International Conference for the Fantastic in the Arts. Orlando, Florida. Newman-Stille, D. (November, 2014) “Beauty and the Apocalyptic Future of Disability: Camile Alexa’s All Them Pretty Babies” Presented at Mid-Atlantic Popular & American Culture Association. Baltimore, Maryland. Newman-Stille, D. (October, 2014) “Paratechnologies: Prosthetics and the Exercise of Medicalised Control in Julie Czerneda’s Left Foot On A Blind Man”. Presented at Technology/Politics. Trent University, Peterborough, Ontario. Newman-Stille, D. (May, 2014) “Zombie Culture and the Countercultural Power of Depression in James Marshall’s Novels.” Presented at The Canadian Disability Studies Association Conference. Brock University, St. Catharines, Ontario. Newman-Stille, D. (March, 2014) “Contagious Thoughts and the Empire of Fear: Pontypool.” Presented at The International Conference for the Fantastic in the Arts. Orlando, Florida. Newman-Stille, D. (November, 2013). “Expendable Bodies: James Alan Gardner’s Engagement With The Speculative Fictional Body.“ Presented at Mid-Atlantic Popular & American Culture Association. Atlantic City, New Jersey. Newman-Stille, D. (September, 2013). “Places of Suffering: Spacialising Disability and Trauma in Leah Bobet’s Above.” Presented at Science Fiction: The Interdisciplinary Genre. McMaster University, Hamilton, Ontario. Newman-Stille, D. (June, 2013). “Speculating Diversity: Nalo Hopkinson’s Brown Girl In The Ring and the Use of Speculative Fiction to Disrupt Singular Interpretations of Place.” Presented at Academic Conference on Canadian Science Fiction and Fantasy. Toronto, Ontario. Newman-Stille, D. (March 2013). “(Un)seeing Magic: Stigma and (Magical) Dis/Abilities in Alison Sinclair’s Darkborn Trilogy.” Presented at the International Conference for the Fantastic in the Arts. Orlando, Florida. Newman-Stille, D. (May 2013). “Getting under Your Skin: The Monstrous Subdermal.” Presented at 48th International Congress on Medieval Studies. Kalamazoo, Michigan. Newman-Stille, D. (May 2012). “Medicalized Power and the Socially Constructed Body in Sparkle Hayter’s Naked Brunch.” Presented at the annual conference of the Popular Culture Association of Canada. Niagara Falls, Ontario. Newman-Stille, D. (March 2012). “Blind as a Vampire Bat: Tanya Huff’s Blood Books as Discourse on Monstrosity as a Symbol of Disability.” Presented at the International Conference for the Fantastic in the Arts. Orlando, Florida. Newman-Stille, D. (March 2012). “The Fight with the Rejected Body: The Werewolf as Internal Bodily Struggle in Sparkle Hayter’s Naked Brunch.” Presented at the Eighth Annual Trent-Carleton Graduate Conference in Canadian Studies: Canada & The New World Order: The National Contexts of Global Change. Trent University, Peterborough, Ontario. Newman-Stille, D. (September 2011). “Biting by Braille: The Juxtaposition of Disability and Monstrosity in Tanya Huff’s Blood Books.” Presented at Academic Conference on Canadian Science Fiction and Fantasy. Toronto, Ontario. Newman-Stille, D. (June 2010). “Academically At Risk Students: Opportunities for Transformations and Growth.” Presented at Ontario Academic Advising Conference. University of Ontario Institute of Technology, Durham College, and Trent in Oshawa, Oshawa, Ontario. Newman-Stille, D. (July 2009). “Monstrosity and Disability in the Middle Ages.” Presented at International Medieval Congress. University of Leeds, Leeds, United Kingdom. Newman-Stille, D. (June 2009). “A Sanguine Love: Monstrosity and Intercultural Romance in Kelley Armstrong’s Women of the Otherworld Series.” Presented at Academic Conference on Canadian Science Fiction and Fantasy. Toronto, Ontario. Newman-Stille, D. (May 2009). “Norse Magic and the Power of Written and Spoken Words.” Presented at 44th International Congress on Medieval Studies. Kalamazoo, Michigan. Newman-Stille, D. (May 2009). “Cohen’s Monster Culture: Seven Theses A Reinterpretation in Light of the Anthropology of the Body.” Roundtable discussion presented at 44th International Congress on Medieval Studies. Kalamazoo, Michigan. Newman-Stille, D. (August 2008). “Coaching and the Strength-Based Approach to Academic Advising.” Presented at Ontario Academic Advising Conference. University of Guelph, Guelph, Ontario. Newman-Stille, D. (July 2008). “Werewolves as Enduring Symbols of Liminality Between Nature and Culture: The Influence of Classical Beliefs About Animal Transformation on Medieval Conceptions.” Presented at International Medieval Congress. University of Leeds, Leeds, United Kingdom. Newman-Stille, D. (May 2008). “Betwixt and Between: Werewolves as Sacred and Profane in the Classical and Medieval World.” Presented at 43rd International Congress on Medieval Studies. Kalamazoo, Michigan. Newman-Stille, D. December 2008. 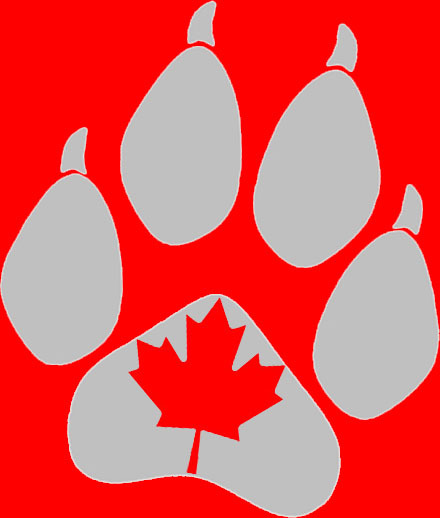 “Betwixt and Between: Werewolves as Sacred and Profane in Classical Literature.” Presented at Trent University Annual Humanities Research Day: Werewolves, Troubadours, Texts, and Global Warming. Trent University, Peterborough, Ontario. Newman-Stille, D. June 2007. “Marine Iconography and ‘Islandness’ in the Minoan World.” Presented at The Small Island Cultures Research Initiative 3rd International Conference on Small Island Cultures: Culture and the Construction of Islandness. Charlottetown, Prince Edward Island. Newman-Stille, D. May 2007. “An Egyptian Origin for the Minoan and Helladic ‘Genius’?.” Presented at the Canadian Archaeological Association session on Global Perspectives in Archaeology. St. John’s, Newfoundland. Newman-Stille, D. May 2006. “Acculturation in the Aegean Bronze Age: The Adoption and Adaptation of Minoan Religious Symbols by Helladic People.” Presented at the Canadian Archaeological Association session on Altered States: Canadian Contributions to an Archaeological Understanding of Complex Societies. Toronto, Ontario. Best, A., D. Newman-Stille, K. Blackbourn, M. Feagan, and M. Woods. 2005. “Instructional Support of T.A.s” Teaching at Trent. Vol. 8, Issue 1: 1-2. Best, A., S. Wurtele, M. Feagan, D. Newman‑Stille, S. Crosson, and K. Blackbourn. 2005. “Strategies for Leading Effective Seminars.” TA Training Handout. Instructional Development Centre, Trent University. Newman‑Stille, D. 2005. “Issues of Discrimination.” TA Training Handout. Instructional Development Centre, Trent University. Newman-Stille, D. 2004. “Acculturation in the Aegean Bronze Age: A Study of the Adoption and Reinterpretation of Minoan Religious Iconography by the Helladic Culture.” Presented at a colloquium presentation of current graduate work, Trent University. Peterborough, Ontario. Newman-Stille, D. 2003. “Acculturation in the Aegean Bronze Age.” Presented at a colloquium presentation of current graduate work, Trent University. Peterborough, Ontario. Queer Coll(i/u)sions. March, 2016. Conference Co-Organized with Cait P. Jones. Peterborough, Ontario. A Body of Tales: Disability and Fairy Tale Narratives. Co-organizer Sara Cleto. March, 2016. The International Conference for the Fantastic in the Arts. Orlando, Florida. Bending the Page: Textual (Re)Constructions of Disability. Co-organizer M.W. Bychowski. 4th Biennial Meeting of the Babel Working Group. October, 2015. University of Toronto, Toronto Ontario. Newman-Stille, D. March, 2015. 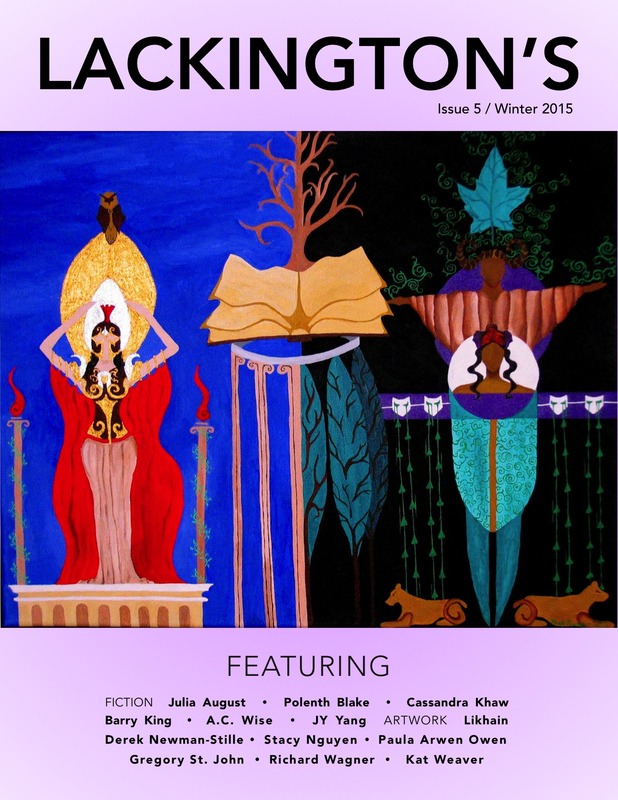 “Cripping the Light Fantastic” Presented at the 2015 Toronto Spec Fic Colloquium. Toronto, Ontario. Newman-Stille, D. February 2009. “Ghosts in the Middle Ages.” Presented forthe SCA. Trent University, Peterborough, Ontario. Newman-Stille, D. (October 2008). “A Sanguine Love: Monstrosity and Romance in Urban ‘Dark’ Fantasy Literature.” Presented at Champlain Fellows’ Lecture Series III: Love and Its Complexities. Trent University, Peterborough, Ontario. Newman-Stille, D. (November 2008). “Medieval Werewolves and their Social Context.” Presented at Champlain Fellows’ Lecture Series I: Monsters in the Middle Ages. Trent University, Peterborough, Ontario. Newman-Stille, D. (October 2008). “The Social Significance of Medieval Ghost Stories.” Presented at Otonabee Fellows’ Lecture Series II: Second Annual Halloween Lecture Series. Trent University, Peterborough, Ontario. October, 2008. Interview about Werewolf Research. Rogers TV Network News at Noon. Oshawa, Ontario. Interview with Andrea Houston, Peterborough Examiner Education Writer. October, 2008. Published as “Werewolves, monsters topic of Trent research” Peterborough Examiner October 31, 2008. Newman-Stille, D. March 2008. “Lycanthropy in the Middle Ages.” Presented for the SCA. Trent University, Peterborough, Ontario. Newman-Stille, D. October 2007. “Werewolves as Liminal Symbols in the Ancient Greek and Roman World.” Presented at Otonabee Fellows Lecture Series I: Halloween – Death, Mortuary Practices, Monsters, and Other Frightening Things. Trent University, Peterborough, Ontario. Aurora Award for Best Fan Related Work for my radio show Speculating Canada on Trent Radio. Aurora Award for Best Fan Publication for my website Speculating Canada. “Historical Undercurrents” Illustration for Postscripts to Darkness Volume 5. 2013: “Funeral Games” Illustration for Postscripts to Darkness Volume 4. A spectacular readinf list from Corey Redekop perfectly timed for all of those boxing day sales!! Thank you Corey for this brilliant description of your best of books for 2015! It looks like i have a LOT of books to add to my reading list! There are three things I keep in mind when making such lists: 1) I arguably read too many books, and inarguably am not terribly discerning. 2) I fully realize the inherent subjective flexibility of such lists; tomorrow this list could be completely different. 3) There is nothing more dispiriting then cutting books out of a list. Today, this is the list I ended up with, my favourite reads of 2015 (but not necessarily from 2015). I’m going to cheat a bit and provide a baker’s dozen of taste treats. 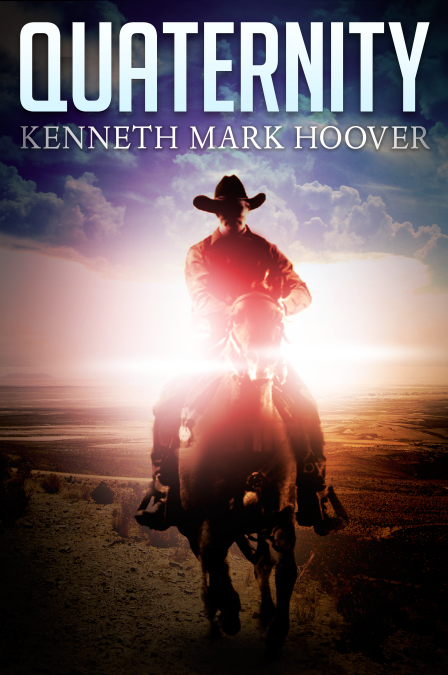 I’ll present alphabetically by author and leave the choice of “best” up to you. And yes, I’m cheating even more by adding more than one book per author. Sue me. • Baker’s tale of the personal assistant to H.P. Lovecraft evokes the cosmic weirdness of Lovecraft’s work while keeping the story fully rooted in the real. The result is both tremendously spooky and a remarkably moving treatise on the lonely art of writing. • I picked up Battershill’s debut novel on a whim, but within ten pages I knew I had discovered something special. Battershill’s crime yarn of a boxer caught up in the wild gangster machinations of a famous French surrealist really shouldn’t work on any level, but succeeds on them all. • Cutter released two markedly different books in 2015. 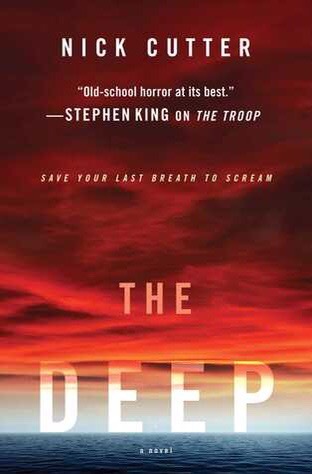 The Deep’s tale of scientists trapped in a deep-sea laboratory is a claustrophobic nightmare, evoking Michael Crichton’s scientific mumbo-jumbo and Stephen King’s depth of character. 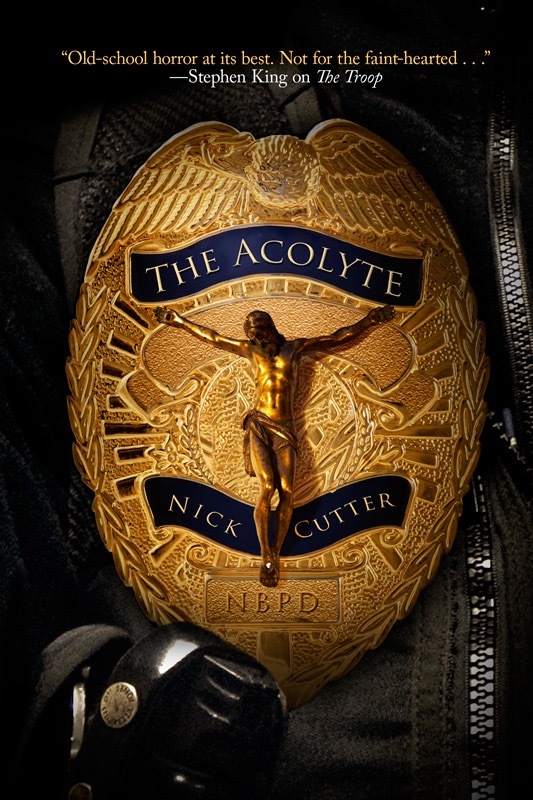 The Acolyte is a dystopian detective fiction set in a militaristic theocracy that is equal parts Raymond Chandler and Fahrenheit 451. Both terrified me to the core, for markedly differing reasons. 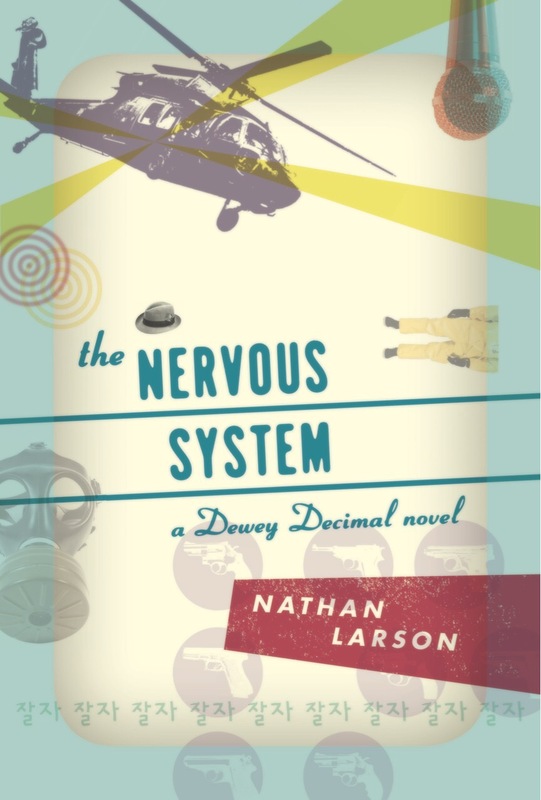 • The flat-out most enjoyably fun novel I read this year. 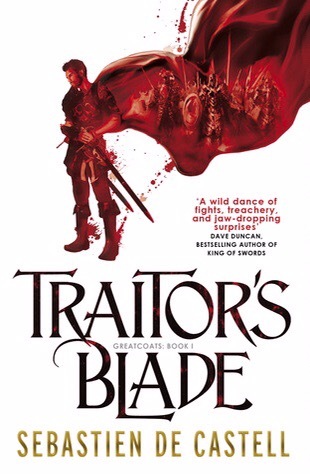 De Castell mixes the swashbuckling exploits of The Three Musketeers with dashes of fantastical magic and gritty dialogue, resulting in an adventure novel that never stops moving and leaves you wanting more. 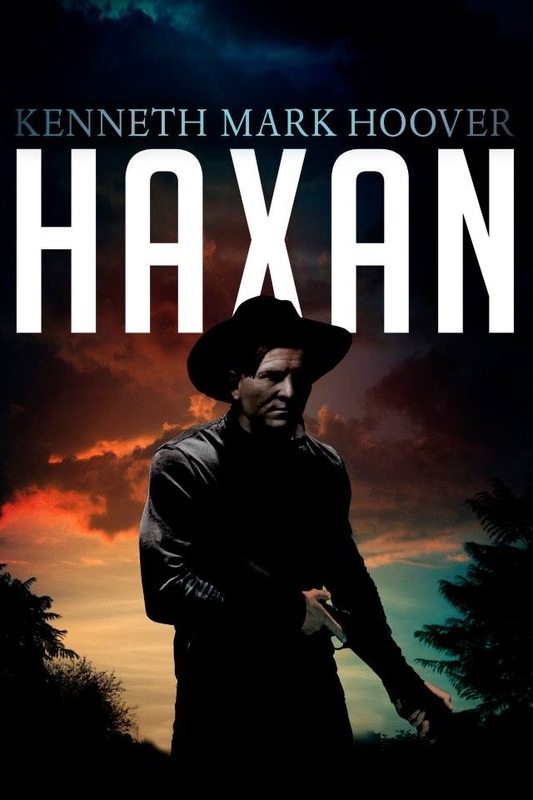 • I’m hardly a western aficionado, but these two books in Hoover’s John Marwood series instantly rank among my favourites of the genre. 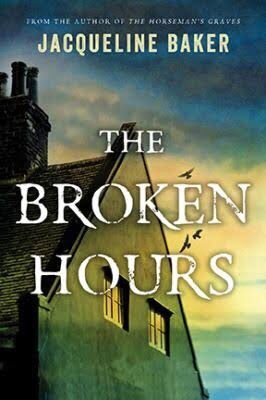 Grisly, horrific, intensely personal, and plaited with blood-soaked threads of magic realism, these violent yarns of a man’s hopeless search for redemption are simultaneously unpleasant and impossible to put down. 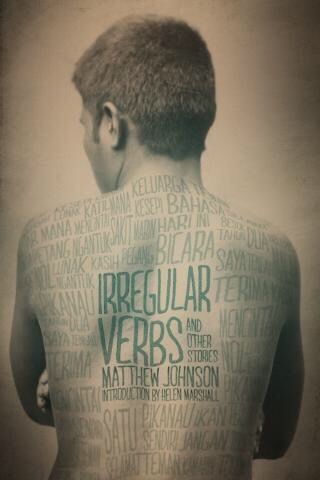 • Johnson’s compendium of zombies, folksingers, detectives, dragons, and Mark Twain may be my favourite of all ChiZine short story collections. If you consider that ChiZine authors include Helen Marshall, David Nickle, Ian Rogers, Gemma Files, Halli Villegas, Douglas Smith, Claude Lalumière, and more, you’ll understand just how good Johnson (and ChiZine) is. 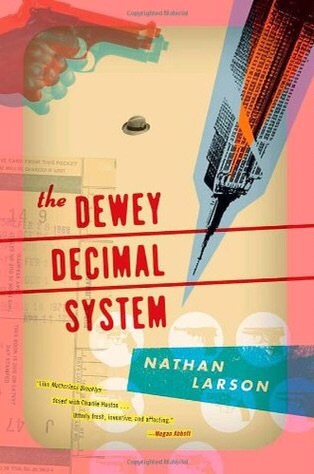 • Being a librarian, how could I not read a novel called The Dewey Decimal System? 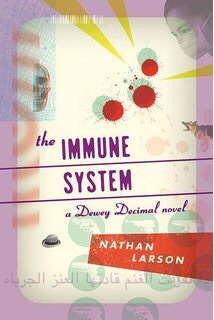 Larson’s blisteringly odd series of an obsessive-compulsive bagman caught up in conspiracies galore in a post-terrorism New York is damned fun, Dashiell Hammett filtered through Chuck Palahniuk (when he was good). 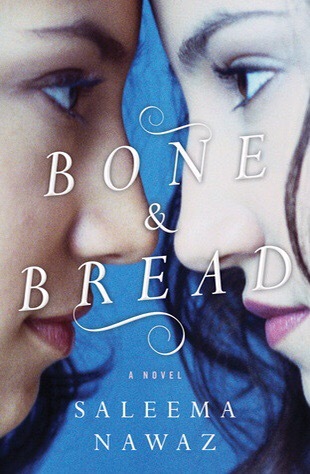 • Unlike everything else on this list, there’s no overt weirdness present in Nawaz’s gentle narrative, only the lovely, sad story of two sisters growing up Sikh in Montreal. Nawaz captures the minutiae of sisterly relationships like few others I’ve read, admittedly a short list but why damn such a fine novel with faint praise? This is a winner through and through. • Back to weirdness. 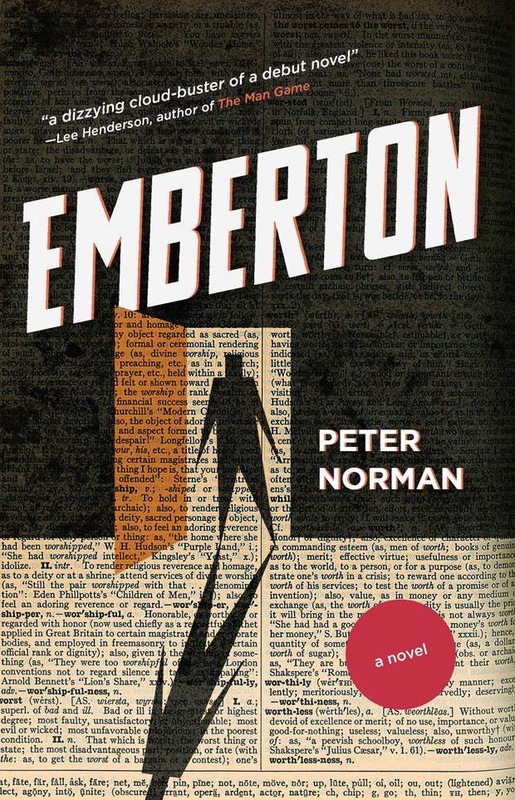 The adventures of a strangely illiterate man working for the dystopic Emberton Dictionary, Norman’s gothic novel careens back and forth from office satire to tangled mystery-thriller to epic Lovecraftian horror, all the while working as a meta-examination of the intricacies of language. It’s breathtakingly original, and hits all my sweet spots. • After the ant rebellion, evolved members of the animal kingdom take up arms against humanity. 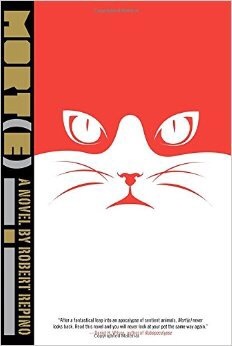 Through the war and its aftermath, housecat turned hero Mort(e) searches for his one true friend, a dog named Sheba. I have an inexplicable love of anthropomorphic fiction, and Mort(e) more than earns an honoured place on my shelves next to William Kotzwinkle’s The Bear Went Over the Mountain, Tim Davys’ Amberville, and Clifford Chase’s Winkie. • After all the awards and accolades, there’s nothing I can add about Mandel’s wonderful work. 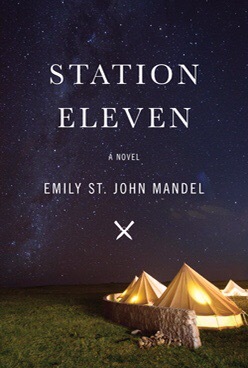 Following a troupe of artists after the fall of mankind, Station Eleven has earned its fame. Damn this is good. • If you’re not reading Lavie Tidhar, shame on you. 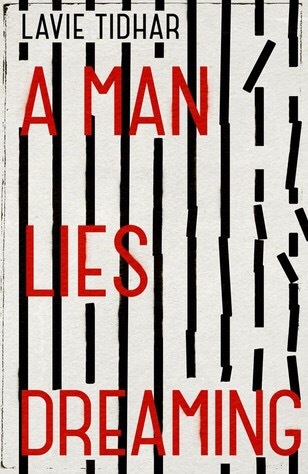 Equaling his superb work in Osama and The Violent Century, A Man Lies Dreaming is at once a crazed detective story (starring a certain German dictator) and a devastating Holocaust novel. There’s no reason for any of this to work, and I’d fear to read any lesser author taking on such a challenge. But Tidhar simply kills it. Now that that’s done, let’s look at what didn’t make my list. • If it weren’t that I am a contributor to both, I‘d have gladly placed them near the top; both gifted me with some of the best short fictions I’ve read in years. 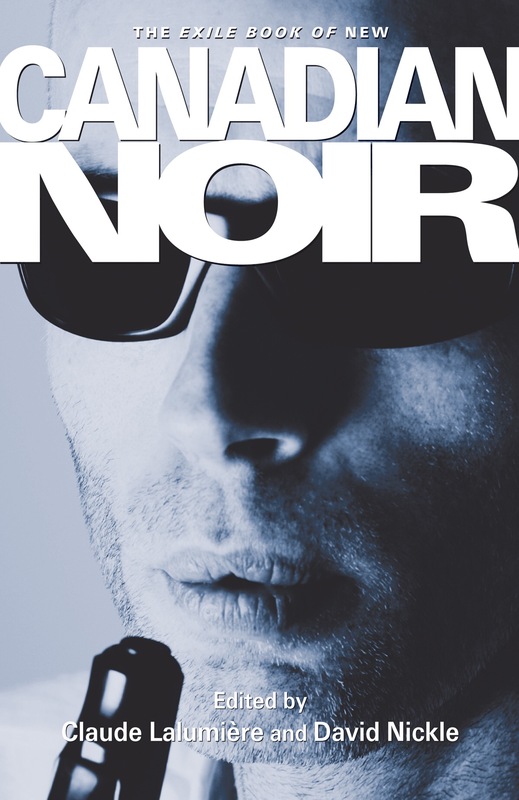 • New Canadian Noir is laden with dazzling stories that demolish preconceived notions of “noir” and expand the concept into fantasy, sci-fi, and horror. All the stories are outstanding, but Keith Cadieux’s “Donner Parties” and Dale L. Sproule’s “Nunavut Thunderfuck” are personal faves. 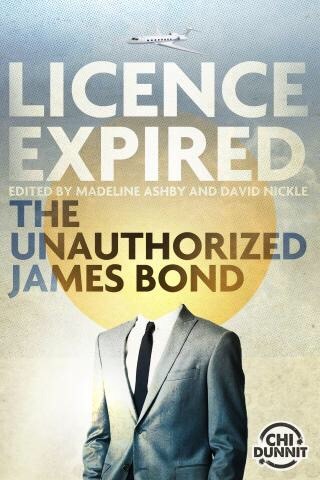 • Licence Expired similarly plays with expectations, resurrecting the literary roots of Ian Fleming’s superspy in utterly surprising ways. Robert J. Wiersema’s “The Gale of the World,” Ian Roger’s “Two Graves” and A.M. Dellamonica’s “Through Your Eyes Only” are my standouts in a crowded field of excellence. Now go read something, will you?